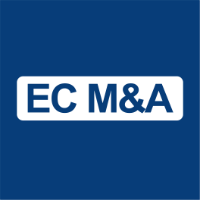 Volker joined EC M&A’s Frankfurt office in May 2014 and focuses on new business development, M&A transaction origination and execution, project management and client relationship management. Volker is responsible for establishing and maintaining relationships with corporate and Private Equity clients with a focus on the German speaking countries and across Europe. Prior to joining EC M&A, Volker worked for a small M&A boutique specializing on small to mid-size German companies and cross border transactions. Volker has also worked for four years as Investment director for the Private Equity arm of DZ Bank AG, Germanys central cooperative bank, focusing on Buy-out as well as Mezzanine financing transactions. He started his career in the Corporate Finance department at KPMG, Hamburg and Frankfurt, where he was a Manager in the Consumer Markets team. Volker graduated as Diplomkaufmann (MBA) from Philipps-Universität Marburg, Germany, and has done an apprenticeship as banker with Commerzbank AG.